This non-scientific post reports on a participatory session which I attended during the BESAFE-BIOMOT conference in Brussels on June 10th and 11th. This conference was about motivations and arguments to act for biodiversity. I was particularly touched by one speaker. How can we make wolves part of the human communities? This is the challenge that dr. Natalie Soethe, researcher at the University of Greifswald (Germany) is currently taking up. Wolf lovers against sheep farmers. A conflict that has been going on since the wolf’s return, 20 years ago. Natalie is living proof that action can be taken at local level. 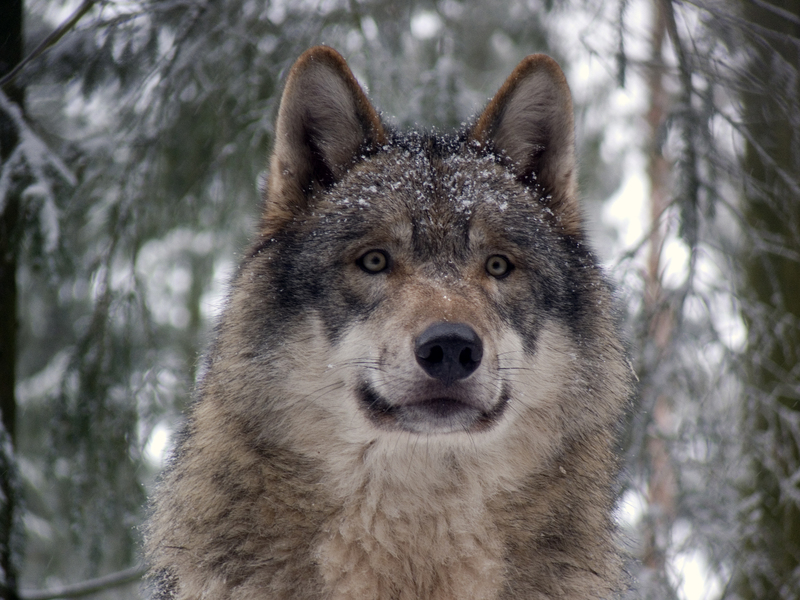 With an upcoming initiative called Wikiwolves, she aims to mitigate human-wolf conflicts and engage in close dialogues with affected individuals. “I don’t want the sheep farmers to love the wolves, because they never will.” It takes time to build trust and confidence, as well as getting the message across that living together with the wolf, an animal that once thrived in our landscapes, is possible. “I spent all my weekends in May (2015) with a group of volunteers putting up fences around sheep flocks.” Indeed, sheep farming is no longer economically viable, hard physical labor and very time-consuming. Sheep farmers struggle to meet both ends. It is understandable that the return of the large carnivore is not welcome by all. “Building bridges in wolf protection in German” was the title of Natalie’s talk. By “bridges” she did not mean wildlife passages, but a successful cohabitation between Homo sapiens and Canis lupus. The opening up of the mentalities and organizational routines of the wolf administration and management are top priorities to achieve this. Keys to do this are the territory level experiments to create workable means of co-existence between humans and wolves. Many of these local initiatives and projects are driven by so-called soft law approaches, new forms of collaboration between authorities and all types of civil society actors, offering possibilities to test new ideas and plans. The whole audience was moved by her story and engagement. Social entrepreneurs like Natalie are out there. Their eagerness to start up initiatives that mitigate social consequences can offer promising content to policy makers and for this reason these people should be politically and financially supported.